Two experiments were carried out under plastic walk-In tunnels during the two successive seasons of 2013/14 and 2014/15 on strawberry plants Carmelo cultivar at the Protected Agriculture Location, Faculty of Agriculture, Kafrelshiekh University. 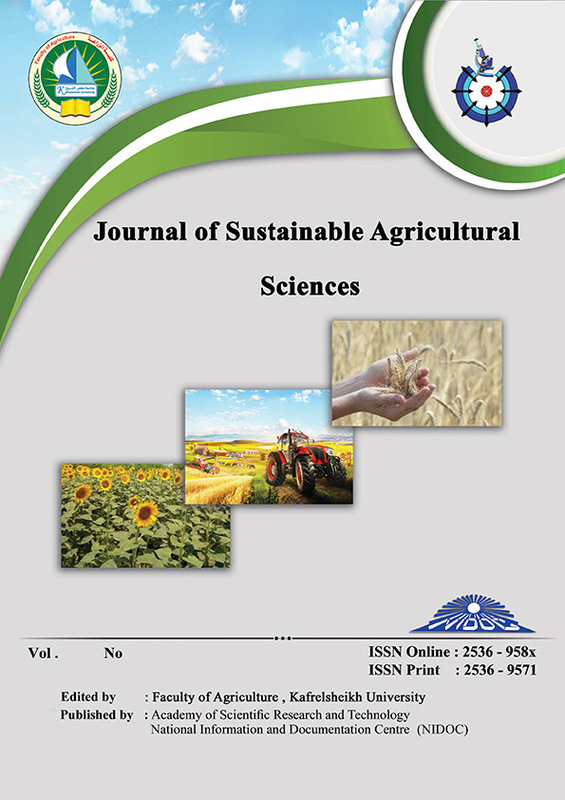 This work aimed to study the effect of the temperature modification, growth substrates(soil, perlite, peat, peat:perlite peat:vermic and peat:perlite:vermic) and their combined interactions on vegetative growth parameters, productivity, fruit quality and leaves chemical analysis. The results indicated that the plants grown under modified plastic tunnel had higher values of number of leaves, number of crowns, total green color (SPAD), leaf area, weight of early and total yields per plant and m2, average ruit weight, reducing and nonreducing sugars and acidity than those grown under traditional one. It was observed that the plants grown in peat substrate resulted in thehighest number of leaves, number of crowns, leaf area per plant, number andweight of early yield and P leaf content, but perlite substrate gave darkeness leaves. Besides, peat mixed with vermiculite substrate gave the highest number, weight and average fruit weight of total yield. plants grown in peat:vermic:perlite, peat:vermic and peat:perlite substrates gave the highest N leaf content compared to those grown in soil cultivation which had the highest K leaves content. peat:vermic substrates under traditional tunnel had darkness leaves in both seasons.